MAUGER, JOSHUA (baptized Josué but he signed Joshua), sea-captain, businessman, and politician; baptized 25 April 1725 in the parish of St John, Jersey, eldest son of Josué Mauger and Sarah Le Couteur; believed married to Elizabeth Mauger, his cousin; only known child, Sarah, baptized 8 April 1754 in Halifax, Nova Scotia; d. 18 Oct. 1788 at Warborne, near Lymington, Hampshire, England. Joshua Mauger’s career before he went to Halifax in 1749 is obscure. In 1743, at the age of 18, he was master of the Grand Duke, quarantined at an unknown British port in December after a voyage from Naples and Leghorn. He later served for some time as master of the Duke of Cumberland transport until its discharge at London in March 1747. Mauger then established a base of operations at Louisbourg, Cape Breton Island. By the time the British evacuated the fortress in 1749 he had become victualler to the Royal Navy there, an appointment which suggests that he already had influential friends in London. He moved to Halifax that year and, aside from a trip to England in 1749–50, seems to have remained there until 1760. Mauger soon came into conflict with the Nova Scotian authorities over certain of his dealings with Louisbourg. The evidence which is available suggests that Halifax citizens who had been resident in Louisbourg were permitted to remove their possessions or the proceeds from their sale for a year or so after Louisbourg officially reverted to French control. In the autumn of 1749 Mauger received “Sundry Merchandise & Stores” which he had left there. It appears, however, that Mauger used recovery of his Louisbourg possessions as a means of avoiding the trade restrictions imposed by Governor Edward Cornwallis, who was anxious to discourage contact with the French. In 1750 Mauger obtained permission to land ten hogsheads of wine from Louisbourg, but he must have imported a much larger quantity since in July and August Cornwallis ordered him to send back over 22 hogsheads. The governor claimed that efforts were being made to make Halifax “a repository for goods from Louisbourg and this chiefly supported and carried on by Mr. Mauger.” In November 1751 he ordered the seizure of a sloop believed to have landed contraband from Louisbourg and, suspecting Mauger of having received some of the goods, authorized a search of his warehouse. Mauger argued that the Vice-Admiralty Court had no jurisdiction on land and refused to permit the search, but on the governor’s orders James Monk* Sr broke open the warehouse and seized a quantity of rum. In Mauger’s defence Isaac Deschamps* testified that the rum was part of 100 casks imported with the governor’s permission in November 1750. Mauger explained that at the evacuation of Louisbourg he had had to dispose of large quantities of goods and had provided some of them to French residents there on credit. Sebastian Zouberbuhler, acting on Mauger’s behalf, had been unable to obtain acceptable bills of exchange or cash for the goods and had therefore accepted rum and molasses, which he had sent to Halifax. The Vice-Admiralty Court accepted the explanation and ordered Mauger’s rum returned. 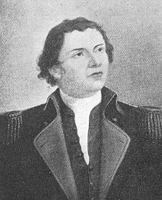 Cornwallis, obviously dissatisfied, suggested to the Board of Trade that Mauger be dismissed as victualler to the navy. He was convinced that unless the authorities were firm Nova Scotia would become “a rendezvous for smugglers and people who keep a constant correspondence to Louisbourgh.” Admitting that the trade was “so very detrimental,” the board noted, however, that it was not forbidden by any valid treaty or law and was therefore not illegal. The lords of the Admiralty were willing to terminate Mauger’s contract if Cornwallis thought it necessary, but others apparently requested its continuation. Mauger seems to have retained his position until his departure for England, and he continued to receive goods from Louisbourg at least until 1754. During his 11 years in Nova Scotia Mauger developed wide economic interests, some of which, like his trade with Louisbourg, led to conflicts with local authorities. In the summer of 1751 he applied to Cornwallis for permission to establish a distillery in a “great store” behind his home. Refused permission on the grounds that the establishment would constitute a fire hazard, Mauger built outside the town, “with much hard labour and at great Expence having been obliged to remove almost a Mountain.” Erection of the works was apparently underway by August 1751. In July the government had placed a 3d. a gallon duty on rum and other spirits, except for the products of Britain and the British West Indies, specifically to encourage the establishment of a distillery and undoubtedly with Mauger’s interests in mind. By the autumn of 1752 Mauger was shipping large quantities of rum to outposts such as Fort Lawrence (near Amherst) and Fort Edward (Windsor); in 1766 the annual output of his distillery was 50,000 gallons. When William Steele applied in 1754 for permission to erect a distillery inside the town, Mauger warned that if it were situated near any of his properties he would be obliged to protest “in a public manner” because of the hazard, and the Council unanimously rejected Steele’s proposal. It is not known, however, if Mauger objected when John Fillis established his distillery in 1752, or if Fillis built within the town. The two men came to enjoy a virtual monopoly of the provincial rum trade, and Fillis and Mauger’s agent, John Butler, acted in concert in the early 1760s to persuade the House of Assembly to increase the protective duty. Because Nova Scotia was seriously in debt and the duties on spirits were the one reliable means of replenishing the local treasury, their adjustment in the interests of maximum revenue became the prime object of those wishing to improve the credit of the province, and they were to involve Mauger and his friends in renewed conflicts with colonial governors in the 1760s and 1770s. Mauger’s extensive property holdings were overshadowed in importance by his trading activities. The largest shipowner in Halifax in the years 1749–60, he owned, wholly or in part, 27 vessels, some bought in New England, others acquired by public auction after the Halifax Vice-Admiralty Court had condemned them for illegal trade, and still others purchased as prize vessels. Mauger shipped fish and lumber to the West Indies and obtained rum, molasses, and sugar in exchange. The timber in some cases undoubtedly came from his sawmills near Lunenburg, and the fish may have come from a fishing establishment he is said to have maintained at Halifax. His ships were used to carry rum from his distillery to a store he owned at Annapolis Royal and to Minas and Chignecto, where he may also have had stores. From England, Ireland, and New England he imported a wide assortment of items, ranging from beer and raisins to glass beads, lead shot, and grindstones. He seems also to have dealt in slaves. The Seven Years’ War provided him with a new outlet for his energies; he invested in privateers, as well as in the purchase of prize vessels, and acted as agent for the officers and crews of British navy vessels which captured French ships off Cape Breton. Not all of Mauger’s shipping ventures were profitable. In 1750 the French destroyed one of his vessels in the inner reaches of the Bay of Fundy. Three years later he arranged a sham sale of a schooner to Matthew Vincent of Louisbourg in order to facilitate a trading venture to Martinique only to have the mate abscond with the vessel. Each of the privateers he owned jointly with John Hale, the Wasp and the Musquetto, made one recorded capture, but neither proved profitable. The vessel taken by the Wasp was worth only about £342 with its cargo. The second prize was ordered released by the Vice-Admiralty Court because it was Dutch; subsequently its crew accused their captors of having tortured them, and the court, presided over by John Collier*, ordered the captain and crew or their agents to pay damages to the injured patties as well as the costs of the month-long trial. As victualler to the navy Mauger drew large amounts of provisions from both Britain and New England, especially during the war years. Mauger’s British suppliers are not known, but his American source was a Connecticut partnership headed by Jonathan Trumbull, one of the colony’s largest provisions dealers by the 1750s and later its governor. Mauger used his acquaintanceship with the clergyman Aaron Cleveland* to make contact with Trumbull and employed John Butler to arrange the first shipment of goods in the fall of 1752. For Trumbull and his partners the trade was invaluable because for some years it provided them with virtually the only bills of exchange they could obtain. For Mauger, however, it was less than satisfactory. The provisions he received did not always meet his demanding standards, and in 1754 he began to turn to Ireland as a source of beef, pork, and butter. He complained to Trumbull that he had lost more than £100 sterling on meat sent from Connecticut. At least one lot of beef had proven inedible in spite of his having had it repacked, newly salted, and pickled on arrival. When wartime inflation made Irish goods less expensive than Connecticut provisions, Mauger ceased buying from Trumbull. Mauger departed for England in 1760, apparently in the summer, but he maintained a lively interest in Nova Scotia. The key to his continued involvement in provincial affairs lies, of course, in the immense fortune he had built up there, a fortune he was able to protect and advance even at a distance of 2,500 miles. Exactly why he was so successful in this endeavour is not entirely clear. Contemporaries believed that by the 1770s a Mauger “party” had developed in Halifax, but it is not always easy to identify the members of this group or to determine how they were attached to Mauger. 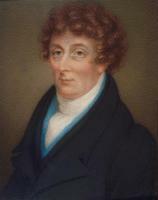 Some, like Fillis, had similar economic interests; others, like Butler, were employed by him; and still others, like Michael Francklin, became indebted to him. Perhaps more important than particular links, however, was the fact that in defending his own interests Mauger was defending a colonial financial structure from which many members of the Halifax mercantile élite benefited. He had, therefore, a base of support in Halifax, which, combined with his knowledge of Nova Scotia and his substantial investment in the provincial debt, must have given him a certain authority in England. These factors alone, however, do not explain his considerable influence with successive governments. His election to parliament for Poole in 1768, a seat he held with only a brief interruption until 1780, undoubtedly added to his prestige, but he does not appear to have been a major political figure. Nevertheless, as Sir Lewis Bernstein Namier points out, “he seems to have been listened to, even when in Parliament he sided with the Opposition.” In short, his relations with the home authorities remain something of a mystery. In April 1762 the Nova Scotia House of Assembly chose Mauger as the colony’s agent in London. In that capacity he conducted a bitter campaign against Jonathan Belcher, the chief justice and lieutenant governor. On several occasions in 1762 and 1763 he appeared before the Board of Trade to demand Belcher’s removal from administrative office for such offences as his refusal to permit continuation of the fur monopoly, of which Benjamin Gerrish was the principal beneficiary, and his unwillingness to extend the debtors’ act, which protected settlers who had left debts behind them in other colonies and in which many members of the Halifax mercantile community had a vested interest. He complained to the board of Belcher’s “Impudent Conduct” and charged that the lieutenant governor was “so unacquainted and unskilled in the Art of Government, and has behaved in such improper manner, as to have occasioned a General Dislike to him . . . and Disgust to his Measures.” More important for Mauger’s interest was the fact that in 1762 Belcher for some time refused assent to two bills which would have modified the duties on spirits in such a way as to favour local distillers. Perhaps another reason for his attack was his inability to secure payment of bills of exchange he had supplied the government of Nova Scotia during Belcher’s administration. 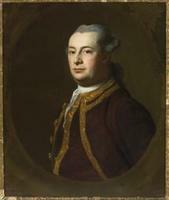 In March 1763 Belcher was replaced by Montagu Wilmot*. On Wilmot’s death three years later, Michael Francklin was appointed lieutenant governor. Whether Mauger had anything to do with this appointment is not clear, but Francklin was one of his protégés and, along with Butler and Isaac Deschamps, had been entrusted with guarding Mauger’s interests after his departure for England. He eventually fell heavily in debt to Mauger as well, and it would seem that his ten-year tenure of the lieutenant governorship could only have been advantageous for his patron. Although by December 1763 Mauger had ceased to act as Nova Scotia’s agent in London, he remained the colony’s unofficial spokesman, with more apparent influence than a succession of governors. 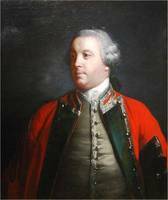 In that year he had been influential in securing to New Englanders along the Saint John River lands on which they had settled but to which British army officers had a prior claim; their settlement, Maugerville, was named in his honour. He also became involved in the appeals of individuals in Nova Scotia against government decisions which affected them adversely. The Nova Scotia issue which concerned him most, however, was distilling. In 1767 the House of Assembly, with a view to increasing the colony’s revenue and with the support of Governor Lord William Campbell, passed a law reducing the impost on imported spirits and raising the excise duty. Since Butler, Fillis, and Francklin had been unable to block the bill, they turned to Mauger for assistance. Along with Brook Watson* and other London merchants interested in Nova Scotia, Mauger petitioned the Board of Trade against the duties, which would, it was claimed, “tend to Distress the Trade and Fishery” of the province. 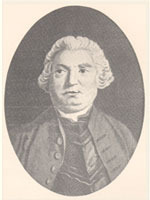 Campbell argued that Mauger and Fillis had unjustly enjoyed a monopoly of Nova Scotia’s rum trade “to the detriment of all the Merchants traders & Almost every other person in the province” and that the new duties would benefit the colony as a whole by permitting a reduction in the debt. The power of the merchants’ lobby was such, however, that the board rejected Campbell’s mercantilist arguments as “contrary to all true policy,” and the old rates of duty were restored. The fact that Mauger and his friends held a substantial proportion of the provincial treasury notes – as they did not hesitate to point out to the board – no doubt weighed strongly in their favour. Since Campbell continued to make a nuisance of himself, Mauger and Butler began a campaign to have him removed. Although it was reasons of health that brought about the governor’s transfer to South Carolina in 1773, Mauger’s friends gave him credit for the removal. The conflict over the duties on spirits clearly reveals what John Bartlet Brebner* has described as “the whole apparatus of influence and dependence” that ensured “Nova Scotian subservience to London.” Campbell’s successor, Francis Legge, reported in 1775 that Mauger’s influence was so extensive that the governor of Nova Scotia could not without complaint “introduce any measure for the public good” that was opposed to the interest of Mauger’s supporters. By 1775 other voices had been raised against Mauger’s “plan of Dominion” and against the “notorious” power of his agent, John Butler, but the opposition was not strong. Legge’s desire to reform the customs and excise duties would have been enough in itself to attract Mauger’s enmity, but his attack on the whole structure of privilege in Nova Scotia ensured his fate. Utilizing the protests sent to him by Legge’s enemies in the colony, Mauger conducted a deft campaign against the governor in London. Legge was recalled in 1776, and Mauger’s friends boasted that he was the third governor they had removed. With his interests secure Mauger seems to have been content during the American revolution to reap the benefits of his investments. Indeed, those investments constituted one of the major ties linking Nova Scotia to Britain in the war years. Only in 1779 did he begin to disengage himself from Nova Scotian affairs. That year he gave his able lieutenant, John Butler, power of attorney to sell a considerable number of his holdings there. Three years later Butler’s nephew, John Butler Dight* Butler, was authorized to sell all his remaining property, except for two 20,000-acre tracts on the Bay of Fundy, one of them apparently the property acquired from Alexander McNutt, and his distillery and related lands in Halifax. Finally, in 1784, Mauger sold his distillery as well. Although it is impossible to be certain, Mauger may have been experiencing financial problems in the late 1770s. The list of bankrupts in the Gentleman’s Magazine for 1777 mentions a J. Mauger, broker, but it cannot be confirmed that this man was Joshua. Little is known of Mauger’s personal or business affairs in England. At his death he was a director of the French Hospital and an elder brother of Trinity House, both concerns that reflect his origins and background. He left most of his estate to the children of his nieces. His wife and daughter are not mentioned in his will and had presumably predeceased him. Conn. Hist. Soc. (Hartford), Jonathan Trumbull papers. Halifax County Court of Probate (Halifax), Book 3, pp.47–51 (will of Joshua Mauger) (mfm. at PANS). Halifax County Registry of Deeds (Halifax), 1, p.136; 2, pp.110, 411; 18, p.97; 20, pp.193–95 (mfm. at PANS). Hampshire Record Office (Winchester, Eng. ), 84M70/PR2 (parish register of Boldre), 24 Oct. 1788. PANS, RG 1, 29, no.8; 35, no. 15; 164/2, pp.54, 57; 209, 31 July 1751, 29 Dec. 1752, 1 March 1753; 210, 28 Feb. 1754; 491, pp.84–87, 90, 141; 492, pp.14, 31, 34; 493, pp.7, 8, 10, 13, 14, 28, 33, 46, 47–50, 182, 183, 191–93. PRO, Adm. 106/275; CO 217/13, ff.8, 66, 83; 217/19, f.167; 217/20, ff.202, 203; 217/21, f.52; 217/22, ff.113, 122, 127; 218/7; 221/28, ff.4, 9, 11, 77, 80, 103, 110, 139, 209. St John’s Church (Jersey), Registre des baptêmes, 25 avril 1725. St Paul’s Anglican Church (Halifax), Registers of baptisms, burials, and marriages, 8 April 1752 (mfm. at PANS). G.B., PRO, CHOP, 1773–75, 431–32; CTBP, 1742–45, 387. Boston Evening-Post (Boston, Mass. ), 12 Aug. 1751. Boston Weekly News-Letter (Boston, Mass. ), 8 Nov. 1750. Namier and Brooke, House of Commons, III, 119–20. Brebner, Neutral Yankees (1969), 67; New England’s outpost, 246. J. G. Lydon, Pirates, privateers, and profits (Upper Saddle River, N.J., 1970), 237. 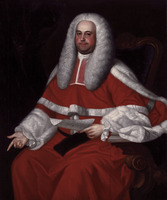 Glenn Weaver, Jonathan Trumbull, Connecticut’s merchant magistrate, 1710–1785 (Hartford, Conn., 1956), 50, 54, 70, 80. Donald F. Chard, “MAUGER, JOSHUA,” in Dictionary of Canadian Biography, vol. 4, University of Toronto/Université Laval, 2003–, accessed April 20, 2019, http://www.biographi.ca/en/bio/mauger_joshua_4E.html.